As parents, we are very careful to cover our children head to toe with sunscreen, but forget how important it is to protect their eyes. Did you know sunlight can permanently damage your child's eyes??? That's why sunglasses are a necessity not just an accessory! In our house, we LOVE Real Shades for our children's eyes because the glasses are cute, comfortable durable, and fit them perfectly! Real Shades has been in the sun protection business since 2002 and has made it their mission to protect as many eyes as possible from the damaging effects of UV radiation. They provide affordable, real sunglasses designed just for kids. And they manufacture them with the best materials available to ensure they block 100% of the sun’s harmful rays. Plus, their banded frames fit just as well under hats as they do bike helmets. They are designed to be worn year-round. And I love that they are durable and safe for small hands - their rubber-like material bends and twists, but will not lose its shape. 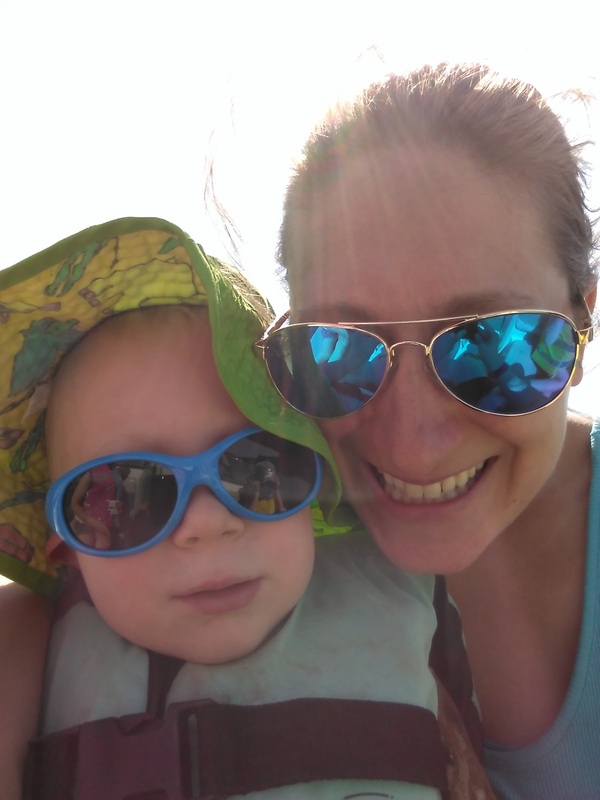 PLUS, I can now have cute and protective sunglasses like my children because Real Shades is expanding their product line to include sunglasses for teenagers and adults! 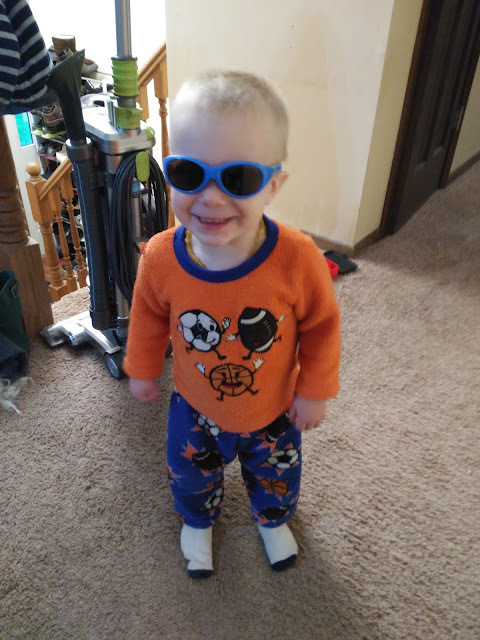 My littlest guy LOVES wearing sunglasses and he LOVES his new Explorer - Toddler - 2+ - P2 Polarized Sunglasses. 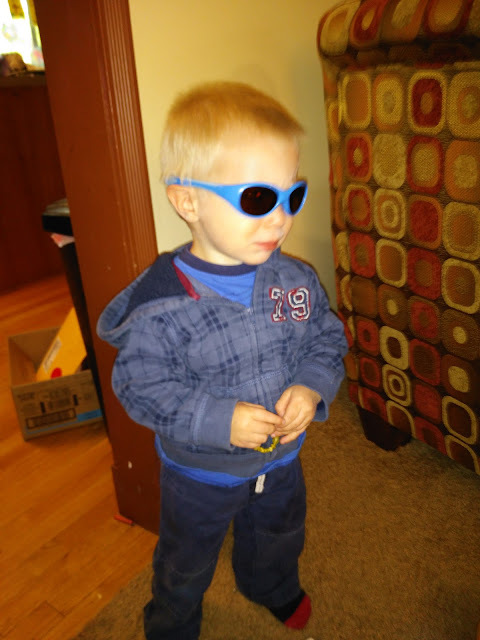 Toddlers are prepared for any adventure when they are wearing these Explorer sunglasses! A wrap around frame minimizes exposure to peripheral light while the soft, adjustable/removable strap ensures these glasses will be comfortable and stay put. P2 Lens technology provides both polarized and polycarbonate lenses. And I am loving my new glasses from Real Shades too! The Fly - Young Adult - Revo Lens Aviator Sunglasses are fun to wear and fit me well too! They are a little small around the nose piece but I think I could get that adjusted. I have a small head so these glasses fit me pretty well! If you are looking for sunglasses for the whole family, head to Real Shades and protect those precious eyes for years to come while being comfortable and trendy! You can purchase all Real Shades sunglasses from the Real Shades website. Real Shades is generously offering (1) winner’s choice of sunglasses (Winners in USA and Canada) to a lucky winner!